One of North America’s leading producers of paperboard, packaging and marketing solutions uses SAP Fieldglass to better manage its external workforce. The organization has net sales of approximately $10 billion and employs around 26,000 people. It operates more than 245 facilities in the United States, Canada, Mexico, Chile, Argentina and China. Managing a light industrial workforce can pose many challenges, especially after a large merger. 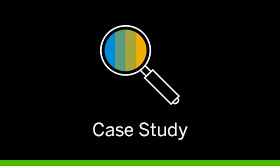 Discover how two companies became one and leveraged SAP Fieldglass VMS to standardize its external labor procurement and improve organizational practices. In May 2011, a merger between two industry leaders led to the formation of North America’s second largest producer of containerboard. As the incumbent Vendor Management System (VMS) with the company since 2009, it was decided to expand the use of SAP Fieldglass across the newly formed enterprise to help manage its light industrial labor base. Today the company uses SAP Fieldglass to manage approximately 1,250 workers, accounting for $65 million in annual spend, with plans to roll on additional plant locations.